Link Global Management can provide a full range of payroll services in Nigeria. The individual will be engaged on our payroll and income is paid in the form of salary, allowances and expenses, the proportion of each part depending on individual circumstances. Link Global Management will discuss your personal circumstances with you and help you to minimise your tax and social security liabilities, within the boundaries of Nigerian legislation. Income is managed tax efficiently, not just in Nigeria but also in any other country where there may be a liability. A tax return is filed each year in Nigeria with advice and assistance from Link Global Management who will also provide help with filing tax returns elsewhere, if required. 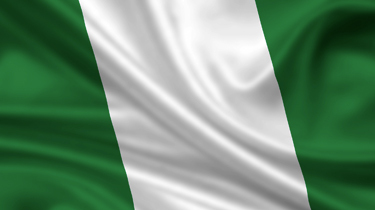 Expatriate employees of a resident company who are present in Nigeria for employment purposes. Expatriate employees of a nonresident company who are present in Nigeria for more than 183 days in a 12-month period, if their employment costs are charged to a Nigerian company or borne by a fixed base in Nigeria and if the expatriates are not liable to tax in another country that has entered into a double tax treaty with Nigeria. Residents are generally subject to tax on their worldwide income. However, foreign earnings derived by Nigerian residents are exempt from tax if the earnings are repatriated into Nigeria in convertible currency through a domiciliary account with an approved Nigerian bank. Income earned by a Nigerian from employment with the Nigerian government is considered Nigerian-source income, even if services are performed abroad. Nonresidents are subject to tax on Nigerian-source income only.